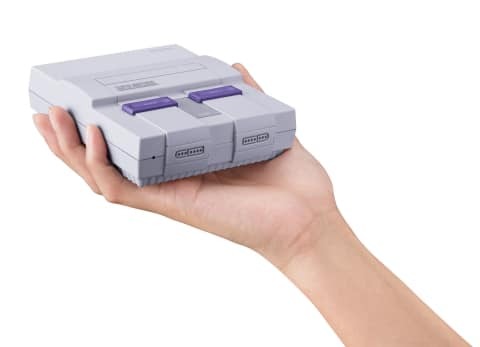 Nintendo announced the SNES Classic just the other day. Some corners of the internet may be worried that they won’t be able to get one. But, we’ve been too busy admiring the amazing selection of games. It’s not 100% perfect though. Below is our list of five games we wish would have found their way onto the console. 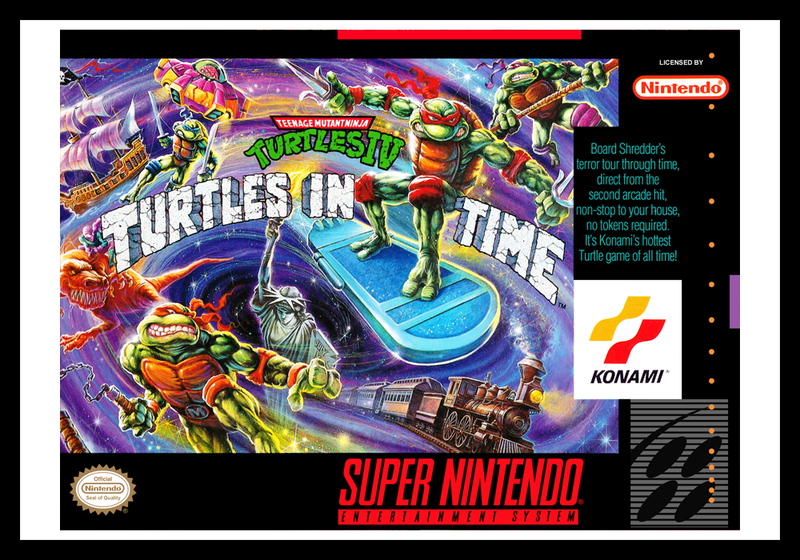 The Teenage Mutant Ninja Turtles were probably the biggest thing in kids’ media during the SNES era. It only made sense that they would have a bunch of video games. None of those games, however managed to capture the wackiness of the TMNT characters and story the same way as Turtles in Time. 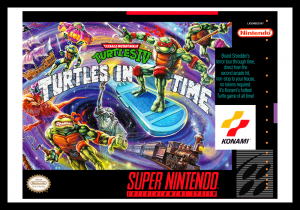 The premise was simple: you control one of the four turtles in an arcade beat’em’up still game where each stage is a different era on time. The far future and the Wild West (aboard a train no less) were just two of the environments you played in. This might be a longshot considering it is a licensed game, but I really hope it finds its way into the collection. 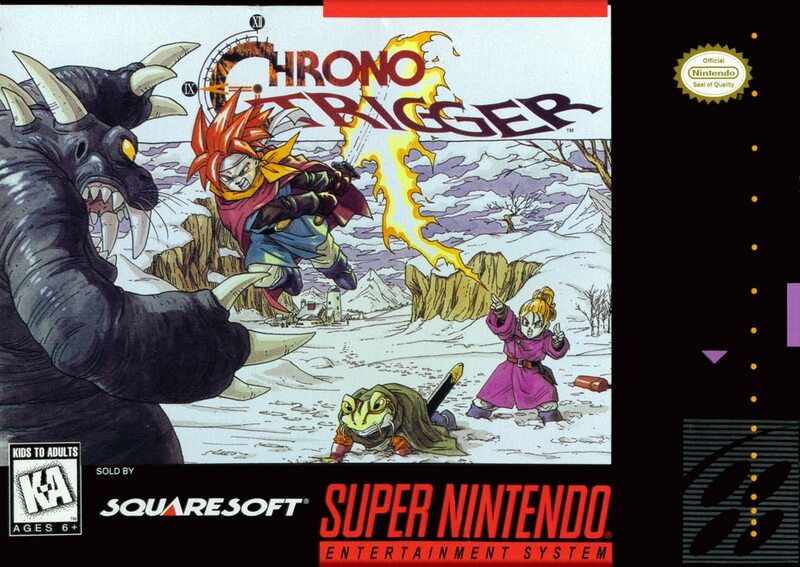 One of the biggest complaints from Nintendo fans after the announcement is that Chrono Trigger was left out. 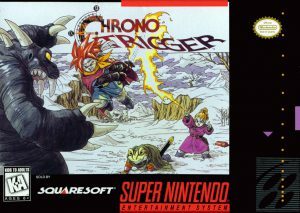 It is largely considered one of the best RPGs of the SNES era and is well loved by Nintendo fans. The RPG count on the SNES Classic is pretty high already, so I know that it is a bit of a stretch. But, I would love to have seen them find a way to fit Chrono Trigger into the box. 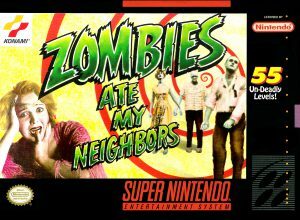 This game was revolutionary when it came out. It featured a branching story, time travel (that mattered), a team of interesting characters, and more twists and turns than we had seen previously. Zombies Ate My Neighbors is, quietly, one of the most entertaining multiplayer games to grace the 16 bit consoles. The maze-like levels and quirky humor made this game a favorite at our house. It doesn’t hurt that this game is devilishly challenging at times because of the limited ammunition available to players in most stages. This makes teamwork and communication critical to finishing this one even if it looks like it should be a throwaway game thanks to its hilarious animations. Ok. Confession time. I didn’t put this one on my definitive wish list because it slipped my mind. I was too busy picking the highlights of the generation to remember a game that was near and dear to my heart as a kid. 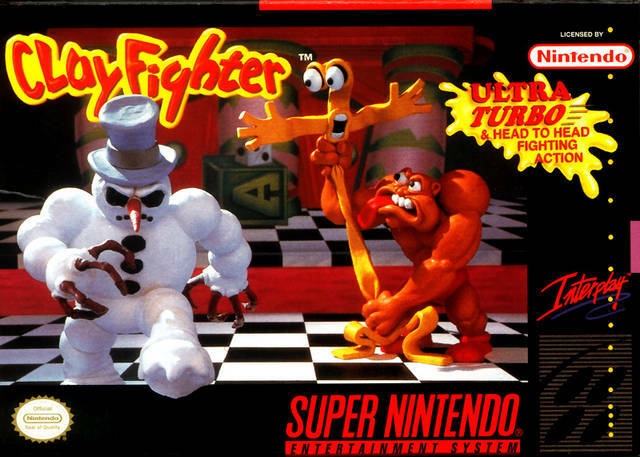 My brother and I would play this game for HOURS on end laughing at the hilarious character animations. Sure. Clay Fighter wasn’t the most technically sound fighting game at the time, but I credit this game with showing me that Fighting games were about more than Ryu and Chun Li. It really opened my eyes and helped me to enjoy other fighting games for what they are as opposed to putting my blinders on and only playing Street Fighter II. What about you? Is there a game you wished made the cut? Sound off in the comments!